A website about the PDA.The Philippine Dental Association is a non-stock, non-profit association founded in 1908. The New By-Laws of the Philippine Dental Association, Inc. has been filed and certified by the Securities and Exchange Commission dated April 27, 2009. The name of this Association shall be the Philippine Dental Association Inc. which hereinafter may also be referred to as the or this Association. Sec. 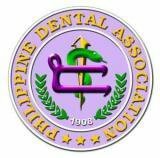 1 The members of this Association shall be dentists of Filipino citizenship who are members of Constituent Chapters of the Philippine Dental Association, and who have complied with the requirements of membership provided for in the By-Laws of this Association except for the associate, honorary and affiliate member as defined in Article XII, Section 1 of the By-Laws. Sec.2 The election of officers of the Association shall be held during the Annual Convention. Sec. 3 The elective officers of the Association shall serve for one year. Sec. 4 The appointive officers of the Association shall serve or hold office at the discretion of the President upon approval of the Board of Trustees, except that the COMELEC which shall hold office for the tenure provided for in this Constitution and/or its By-Laws. Sec. 2 There shall be a House of Delegates which shall be the legislative body of the Association. Sec. 3 There shall be a Council of the PDA Presidents which shall be the consultatory and advisory body of the Association. Sec. 1 The Association shall consist of duly chartered constituent provincial and/or city chapters and such other organizations as may be affiliated to it. Sec. 2 For effective administration, supervision, and control, the Philippines shall be divided into four regions, to be represented in the Board of Trustees by a Vice President each for Northern Luzon*, Southern Luzon*, Visayas and Mindanao. Sec. 3 These regional administrative divisions in the country and organizations may also be sub-divided into as many districts for effective supervision and coordination by their respective district councilors. Sec. 2 The Board of Trustees shall hold a monthly meeting every second Friday of the month. Sec. 1 The central office of the Philippine Dental Association, Inc. shall be in the building of the PDA located within Metro Manila. Sec. 1 The Association shall adopt an official emblem as registered with the heraldry Commission of the Republic of the Philippines. Sec. 3 The constituent chapter banner bearing the emblem of the Association shall be lavender, 29″ x 43″ and its illustration, color scheme and letterings shall be uniform and of standard size. Sec. 1 Should conflict arise in the Parliamentary proceedings and conduct of meetings in the Association, the “Parliamentary Rules” by Antonio Orendain shall be the guide. e. The honorary member: The honorary member is one who has made an outstanding contribution to the state of oral health and the advancement of the art and science of dentistry in the Philippines. The House of Delegates upon recommendation of the Board of Trustees may elect him as Honorary member of the Association. c. The Associate member shall: (1) receive the PDA Journal regularly, and (2) be privileged to attend the scientific sessions, seminars, symposia, etc. of the Association and may be granted such other privileges as the House of Delegates and Board of Trustees may extend him. d. The Honorary Member shall: (1) receive a Certificate of Honorary Membership, and a free subscription to the PDA Journal, and (2) he may attend any or all programs of the Association. Sec. 3 Limitation to one membership. A member shall hold only one type of membership. c. The annual convention dues shall be collected from the member of the Association registered at the convention in the amount that shall be determined by the Board of Trustees. d. Charges other than annual convention dues may be collected from registrant attending continuing education lectures, table clinics, symposia, or the like sponsored by the Association at such time or place other than those held during the annual convention, and which amounts shall be subject to the approval of the Board of Trustees. Sec. 1 The composition of the Board; Its elective members. a) The Board of Trustees shall be composed of eighteen (18) members, namely the President, President-Elect, Executive Vice President, Vice President each for Northern Luzon, Southern Luzon, Visayas and Mindanao, and eleven (11) members of the Board of Trustees. a) Must be of good moral character. b) Must have at least 5 years of active membership in the PDA. c) Must be at least 35 years old. d) Must be a past or incumbent president of a chapter/affiliate. e) Must have a written certification from its respective chapter/affiliate president and secretary. a) A member of the Board shall hold office for a term of one year and shall continue to serve until his successor shall have been elected and duly qualified. The formulation and adoption of administrative policies governing the day to day operations of the Association shall be the inherent duty of the Board. Such policies shall be established according to the provisions of the Constitution and By-Laws of the Association, provisions of the Professional Regulatory Code, the Dental Law and such other decrees, instructions from duly authorized government agencies, and the laws of the land. It shall prudently manage the resources of the Association and exercise its corporate functions. charter of affiliation of an affiliated organization; (b) confer Associate, or Honorary membership, (c) and perform such other functions of the House as may be found necessary except legislate; provided, however, that all such actions taken shall be submitted to the House of Delegate at its earliest regular session for review and/or confirmation, or for whatever action as may warrant every particular case. ITS POWERS AND FUNCTIONS; COMPOSITION; OFFICERS AND THEIR TENURE; THEIR DUTIES AND OBLIGATIONS; THE SESSIONS OF THE HOUSE, AND DELEGATE ACCREDITATION. l) To elect its officers. b) There shall only be one delegate, preferably the president as chief delegate who shall be entitled to one vote from each society or organization affiliated with the Association. d) The alternate delegates: in the absence or incapacity of the Chief Delegate and or the official delegate, the president may certify the accreditation of the alternate delegate(s). Sec. 3 The elected officers of the House of Delegates are the Speaker, the Speaker Protempore, the Floor Leader and the Peace Officer. Their tenure is one year. The appointive officers of the House of Delegates are the Parliamentarian, House Secretary, House Administrator, the House Assistant Secretary and such other appointive staff members that are needed. Appointments are solely made by the Speaker of the House. d) The Peace Officer: The Peace Officer shall maintain order and decorum of the members of the House during the session. a. Must be a past Speaker of the House of Delegates who completed his/her term of office. b. One who is experienced and able in parliamentary procedures and debates. c. One who is able to settle conflicting issues in accordance with the Constitution & By- Laws of the Association. The official delegates of Constituent Chapter and of Societies affiliated with the Association shall present a certificate of accreditation to their being the duly elected or appointed delegates to the House and duly signed by the President and Secretary of his chapter or affiliated society. a) The Council shall be the investigatory body of the House of Delegates on legislative issues and make recommendations relative to such. b) The Council shall offer its services to mediate any issues that may arise from time to time in the House of Delegates. c) The Council shall interpret, if needed or when the occasion arises, provisions of the House of Delegates. d) The Council, through the Chairman, shall act as advisor to the incumbent House of Delegates’ Speaker on matters not resolved by the parliamentarian and the Speaker. The members of the Council who shall serve in the Board of Governors shall be in accordance to a line of succession, serving for a term of one year and following the fiscal year of the PDA. a) The Council shall meet during the annual session of the HOD and during the Mid-Year session of the HOD, or as often as the Chairman may determine. Sec. 1 The Organization of the Constituent Chapter of the Association. The Constituent Chapter shall bear the name of the City or Province of its jurisdiction. Sec. 3 Powers and Duties of the Constituent Chapter. a) Constituent Chapters shall have the power to provide for their own financial support. b) They shall have the power to adopt and promulgate their own Constitution and BY-LAWS provided that it does not, in any of its parts, contravene provisions of the Constitution and By-Laws of the Philippine Dental Association. c) The Chapter shall have the power to elect or appoint their official delegates to the House of Delegates. d) It shall be the duty of the chapter to collect membership fees and/or dues from among its members for the Philippine Dental Association pursuant to the Provisions of Art. XII, Sec. 5 of this By-Laws. e) It shall be the duty of the chapter to report to the PDA of its record of activities. f) It shall be the duty of the chapter to promote the objectives of the Association in its area of jurisdiction. g) It shall hold a business meeting within two months prior to the PDA Annual Convention to elect its officers. i) The chapter shall seek to full advantage the services of its District Coordinator to promote its plans and objectives. The Council shall be composed of the PDA incumbent and past presidents. b) The Council, through the Chairman, shall act as advisor to the incumbent President of the Association. a) The Council shall meet quarterly, one during the annual convention and another during the Mid-year session of the PDA, or as often as the Chairman may determine. a) The elective officers of the Association are the President, President-Elect, Executive Vice President, Vice President for Northern Luzon, Vice President for Southern Luzon, Vice President for Visayas, Vice President for Mindanao, the Eleven (11) members of the Board of Trustees, Treasurer and Auditor. Election of 11 Trustees is by area comprising seven Trustees for Luzon and two Trustees each for Visayas and Mindanao. b) The elective officers of the House of Delegates are the Speaker, Speaker Protempore, Floor Leader, and the Peace Officer. c) The elective officers of the Association are elected by the General Assembly called for the purpose during the annual convention. d) The Vice Presidents for Northern Luzon, Southern Luzon, for Visayas and for Mindanao and the eleven trustees shall be nominated and elected by members of the Association from their particular regions, according to the qualifying provisions of the Constitution and By-Laws as specified in Art. XVII Sec. 1A. Only an active member in good standing for at least three (3) consecutive years prior to the election shall be eligible for election to any office and such other qualifications for candidacy as maybe provided for within this Constitution and By-Laws . a) Elections for the House of Delegates are done on the floor on the second session of the House of Delegates during the Annual Convention. Affiliate Delegates cannot be nominated for elective position in the House of Delegates. However, they are entitled to one vote. b) Election of Officers shall be by secret ballot. One member, one vote. 2) It shall be under oath. The elective officers shall serve for a term of one (1) year, and/or until their successor shall have been elected and qualified. The incoming President of the Association and the newly elected national officers of the association shall be inducted into office during the annual convention. a) The President shall 1) address the opening session of the House of Delegates, 2) deliver an address at the inaugural meeting of the annual session next following his election as President-Elect, 3) sit as ex-officio member of the House of Delegates, 4) preside at all the meetings of the association and the Board of Trustees, 5) act as official representative of the Association in its contacts with the governmental agencies, civic, health, business, and other professional organizations for the purpose of advancing the policies and objectives of the Association, 6) to call special meeting of the House of Delegates and/or the Board of Trustees as provided for in Sec. 4, Art. VI of the Constitution; 7) to recommend to the Board of Trustees the appointments of Chairman and members of the COMELEC and their subsequent submission to the House of Delegates for confirmation; 8) to appoint Chairmen to the various standing committees of the Association; 9) to present his PDA Annual Report before the House of Delegates in session; 10) automatically assumes the Chairmanship and CEO of the Board of Trustees; and 11) to perform such other duties as may be provided for in the Constitution and By-Laws. b) The President-Elect shall 1) succeed the incumbent president during the next fiscal year, 2) sit as member of the Board of Trustees, 3) assist the President when requested, 4) assume the position as General Chairman of the PDA Annual Convention, and 5) prepare and present to the Board and the House of Delegates the budget for the next fiscal year. c) The Executive Vice President 1) succeeds the President when the latter’s position becomes vacant; and 2) presides over the meetings of the Board of Trustees when the President is absent; and 3) is an ex-officio member of the House of Delegates. d) The Vice Presidents for Northern Luzon, Southern Luzon, for Visayas, and for Mindanao. The Area Vice Presidents: 1) assist the President of the Association in his respective region by encouraging active support of the PDA programs; 2) organize at least once a year regional meetings, seminars, conferences; 3) represent the President and the Association in his region in any local health and/or socio-civic undertakings; 4) represent the Chapters of his area in the meeting of the Board of Trustees; 5) serve as member of the Board of Trustees. e) The Treasurer shall: 1) serve as the custodian of all monies, securities, and funds of the Association; 2) disburse funds of the Association according to the direction and disposition of the Board of Trustees; 3) deposit in a reputable bank and disburse the money of the Association as directed by the Board of Trustees; 4) sign the checks of the Association, together with the President to pay its obligations; 5) submit monthly financial reports to the members of the Board of Trustees, or any time when so requested; 6) submit the annual financial report of the PDA to the House of Delegates; 7) act as custodian of all properties of the Association; 8) to exercise voting power on financial matters during Board Meetings; 9) to be responsible to the membership on the custody and/or disbursements of funds of the Association. He shall post a bond in such amount as may be determined by the board. Sec. 2 Appointments made by the President enumerated in the preceding section are subject to the approval of the Board of Trustees. a) The Executive Director (a) Qualifications of the Executive Director: 1) he/she must be a baccalaureate degree holder; 2) he/she must have a managerial skill, In addition to the rights and duties ordinarily vested on the Secretary of a Corporation, and on the office of the Executive Director by provisions of this Constitution and By-laws, the Executive Director shall: 1) be the Secretary of the Board of Trustees; 2) keep the records of all minutes of the meetings of the Board of Trustees, and copies of the proceedings of the House of Delegates; 3) furnish the members of the Board copies of the minutes of its meetings; 4) keep a Registry or Book showing the names and addresses of the Chapter/Affiliate Organizations; their members and officers; and a roll of all the members of the Association; 5) keep his book and records open for examination at any reasonable time by the Board of Trustees or the duly authorized member thereof; or to persons expressly authorized by permission of the Board; 6) act as custodian of all records of the Association; 7) coordinate all the activities of all committees regarding their special assignments and systematize the correct preparation of reports, and 8) To submit to the House of Delegates not later than thirty days after the Board of Trustees acted for and in behalf of the House of Delegates in its ad interim capacity; perform such other duties as may be directed by the Board of Trustees. b) The Regional Coordinators 1) act as representatives of the Association in promoting and maintaining good rapport between chapters, and chapters of his district with the Association; 2) furnish the Association information concerning the organization status of the chapters; 3) encourage active support for PDA Programs; 4) assist the Vice President in coordinating the Association’s programs of activities requiring implementation in the field; to advise the Vice President on the need of organizing new constituent chapters in his District. c) The Editors: The Editors of their respective PDA publications shall organize their respective staff and shall furnish the Board the annual report of business operations; and perform such other duties as may be prescribed by the Board of Trustees (Note: There are at least three PDA publications the PDA Journal, the PDA Bulletin and an annual special edition of the convention program including a periodic newsletter of day to day convention activities. d) The Public Relations Officer shall take charge of all public information and promotional activities of the Association through exposure in the Tri-Media which the Association may deem proper for the effective implementation of its aims and programs. e) The Protocol Officer shall take charge of protocol and proper courtesy arrangements in all functions and activities of the Association, based on the PDA standing rules and guidelines. e1) Community Outreach (Cleft Lip, Elsie Gaches, Adopt-a-School/Brgy. 1) To impose upon new dentists to be members of the local chapters and the PDA immediately after they are sworn into the profession. 2) To impose upon non dentists as described in Article XII, Section 1. to be members of their respective professional organization and to affiliate themselves with the PDA. 1) To design and prepare programs for national, area, regional, chapter/affiliate society scientific meetings and symposia. 2) To organize the composition of the Speakers’ Bureau and establish guidelines and criteria in the selection of its pool of Speakers. 1) To recommend necessary amendments to the Constitution and By-Laws to the House of Delegates to keep it attuned to the needs of the time. 3) To initiate, recommend and to lead advocacy for legislations beneficial to the dental, dental hygiene and dental technology professions more importantly for the nation’s oral health and welfare. 4) To keep the members of the dental, dental hygiene and dental technology professions informed of such bills as may be proposed or which are currently under consideration by Congress which affected the oral health of the public, the dentists, and the practice of dentistry. 5) To compile and collect all laws, ordinances, court decisions and legal opinions affecting or related to dentists and practice of dentistry, dental hygiene and dental technology and to publish the same for the information of dentists. 1) Preparation of materials for Publication on Public Health Education and dental care such as pamphlets, films, film slides, postcards and exhibits, for the use of teachers and health education workers and for exhibition and distribution to the general public especially during the National Dental Health Week Celebration, Outreach Project, Barangay Health Seminars. 2) To develop outreach projects regarding dental health which may be used by constituent chapters. 1) To prepare guidelines and plan to study ways and means to assist members of the PDA who may be victims of accidents, of death caused by natural calamities. 2) To keep a continuing study of improving the capacity of the Association to extend aid or benefits to its members. 1) To acquire a Comprehensive Medical Healthcare Insurance or HMO Provider for PDA members who wishes to have a Medical Healthcare Insurance that has a complete package of health benefits with a high quality of service that could provide the hospital and medical needs affordable and available to every members of PDA, their clinic staff and their dependents. 2) To evaluate qualifications of the Healthcare Providers and to conduct and document a fair, acceptable and transparent bidding process. 3) To handle the affairs, transactions, facilitate details and coordination with the Healthcare Provider and the enrolled members whose enrollment are entirely independent from the membership fees paid to the Association. 1) To promote and maintain good physical and mental health of the members of the PDA. 3) To establish unity and bonding of each member by encouraging them to participate in all sports activities. 1) To prepare a general plan of social events, set guidelines and make tentative schedule of particular social affairs not otherwise provided for in the By-Laws. 2) To coordinate with all concerned, determine and recommend the time, date, place of the affair, guest list and other matters regarding its activities. 2) To establish rules and regulations in the evaluation and verification of awardees. 1) To draw guidelines and standards to encourage and assist the constituent chapters in publishing Newsletter for their members. 2) To publish information materials designed to orient new and prospective members other campaign aids for the Committee on Membership. 3) To publish materials to be used as guidelines for organization, administration and operation of the constituent chapters. 4) To publish the necessary reference materials, studies and reports in collaboration with the Board of Trustees, House of Delegates, and other committees of the Association as the occasion may arises. 7) To develop the Association’s capability to generate printed materials, like posters, video films, etc. for the continuing education program, health education and Public Health Committee activities. 8) To publish rules and laws and guide the members on the new developments. 1) To establish a strong and harmonious relationship among the dentists, dental technologists and dental laboratory proprietors. 2) To enhance further dissemination of information to dental laboratories as well as dental technologists about the new Dental Law better known as RA 9484 wherein they would be integrated with the Philippine Dental Association. 3) To conduct meetings, symposia and seminars to further enlighten the dental technologists with rules and regulation as stipulated under the newly passed Dental Law. 4) To organize series of scientific seminars or conventions, if possible to enhance their technical knowledge to develop their art and craftsmanship. Also, to arrange solution to their business and technical problems and to set high standard of integrity, honor and courtesy among their relation with each other and with the dental profession. 5) To encourage all dental laboratories in a national scale in complying with the newly amended Presidential Decree No. 1542 which is the law providing for the registration and licensing of all dental laboratories operating in the Philippines. 6) To coordinate with the PDA chapter presidents nationwide to conduct seminars with dental laboratory owners and their dental technologists and to require chapter presidents to acquire list of dental laboratories operating in their area whether they have license to operate or none. 7) To convene regularly with recognized association of dental laboratories and dental technologists, the Philippine Prosthodontic Society and officers of the PDA to discuss current issues that would help to improve the practice of Prosthodontics in Philippine Dentistry. 1) To formulate strategies and guidelines to generate funds for the permanent buildings of the Association. 2) To recommend and secure measures for the productive safekeeping and sound investments of funds generated. 3) To prepare a program, standards of care, repair for the maintenance and upkeep of the permanent PDA building and its facilities to implement the same. 4) To generate funds for the purchase or construction for the permanent headquarters. 5) To cause the purchase or construction of a permanent headquarters of the Association. 2) To formulate plans to establishing and maintaining the highest attainable level of technical standards as they relate to the dental, dental hygiene and dental technology profession and to submit such plans to the Board of Trustees for action in cooperation with the DOH, DOST, Dental Trade Organization and others. 3) To maintain close liaison with the ADA, Federation Dentaire Internationale, Asia-Pacific Dental Federation, WHO, and other health (corresponding) agencies here and abroad, to include those that deal wih dental hygienists and dental technologists. 4) To encourage participation to international conferences, workshops and seminars organized and initiated by the above mentioned organizations. 5) To arrange an exchange program of print materials, video films and other materials which can contribute to the technical professional growth of the members of the Association. 4) To update the communication techniques through speaker development seminars. 1) To coordinate with the PRC, CHED, TESDA and the association of dental colleges in order to maintain high standard of dental education. 2) To coordinate efforts of the dental colleges, the Board of Dentistry, Council on Dental Education, and that of the PDA in maintaining high standard of dental education. 1.) Main function is to prepare Filipino dentists for global practice of dentistry by information desimination of global guidelines, policies, standard and responsibilities. 2.) See to it that international standard is maintained in dental care, facilities and skill. 3.) Promotion of Philippine dentistry in the global market. See to it that Filipino dentists will be a part of international network and conduct their practice under the Code of Ethics. 1.) To arouse dental health consciousness among the people. 1) The Committee shall gather and evaluate evidence on referred cases involving illegal practice of Dentistry in the Philippines and with the aid of Counsel, file cases in court. 2) To conduct continuing study of cases handled for the purpose of improving its mission for the good of the Association. 1) To consider proposals for amending the Code of Ethics and to make necessary recommendations. 2) To provide advisory opinions regarding the interpretation of the Code of Ethics. 3) To consider appeals and complaints from members of the Association or the constituent chapters. 4) To implement and enforce equitably the Code of Ethics for dentists upon all active members of the Association and recommend to the House of Delegates or to the Board of Trustees if the House is not in session, suitable sanctions for violating members after due process. 1) Manage the protocol requirements of the PDA functions as per the Book of Protocol. 2) See to it that all rules, regulations and guidelines on protocol adopted and approved by the PDA are followed and implemented. 1) To gather informative materials for disemmination to the public regarding the importance of oral health. 3) To conduct capacity building seminars for health education workers. 4) To promote and conduct research on oral health, relevant dental products and clinical procedures. 5) To compile scientific data for study and evaluation. 6) To organize an autonomous Research Ethics Review Board. 7) To maintain operations of the Oral Health Research Center. 8) To perform such other duties which the Board of Trustees may assign from time to time. 1) To implement projects which will deal on curative, procedures like restoration, oral prophylaxis and other treatments. 2) To work hand in hand with the Committee on Public Health and Committee on Dental Health Education towards the promotion of good oral health. 1) To provide basic dental health services to the unserved and underserved members of the community. 2) Clinical testing and evaluation. Sec. 1 The Continuing Dental Education Program shall be the primary responsibility of the Association towards the professional development of its members keeping them abreast with universal developments in the science and practice of dentistry. Sec. 2 The Association shall conduct a program of continuing education at its annual general convention and a staggered annual program of similar nature although much smaller in scale of Continuing Education at regional area levels thru the constituent chapters. Sec. 3 The Board of Trustees shall take care of the management and arrangement of the continuing education through its committees to coincide with the PDA Annual Convention and the Annual Session of the House of Delegates. Sec. 4 The executive committee in-charge of the annual program of Continuing Education shall be the PDA Annual Dental Convention Committee. b) The President-Elect shall be the General Chairman and heads the Executive Committee. c) It shall be the duty of the Executive Committee to manage, arrange, supervise and coordinate all activities incident to organizing and making success of the Annual Convention. d) There shall be Dental Trade Exhibits. The Committee on Trade Relations shall give direct supervision and assistance to the Executive Committee over the dental trade exhibits subject however to the Policies and Guidelines that may further be established by the Board of Trustees. e) The President-Elect, as the Executive Chairman shall be given the authority to appoint the various committees. a) Active, associate, honorary, and life members of the Association who are in good standing. b) Active members of good standing of National Association of Dental Technology. Sec. 2 The Association shall publish a quarterly Journal which shall be called the Journal of the Philippine Dental Association (JPDA) in which shall be published articles of interest and value to as well as reflective of the profession and the science of dentistry in the country and overseas. The Association shall also publish the PDA Bulletin which shall reflect the internal activities of the Association – its constituent chapters and its affiliated organizations. a) Annual Convention fees shall be collected from the delegates in the amount fixed by the Executive Committee, and upon approval of the Board of Trustees. b) Dues may also be collected from registrants attending continuing education programs sponsored by the Association in such time and place other than those held during the annual convention; and those held in regions and/or districts and which amount shall be approved by the Board of Trustees. The Association shall solicit donations, accept grants and/or assigns from any legitimate source, whether in cash or in kind. Sec. 4 The Association shall generate funds from sale of advertisement spaces in its publications, as well as sale of booth spaces during trade exhibits. Sec. 5 The Association shall have on its income the interest on accounts placed on savings and time deposits. a) Imposed by the Treasurer of the Association in the amount not exceeding five percent (5%) of the arrearages per annum. b) A fine of five percent (5%) on the collections due the Association shall be charged on the Chapter for failure to remit within thirty (30) days what is due the Association. c) The balance of a three-year paid up member’s fee carried into the succeeding fiscal year or years; shall be levied a late payment penalty or fine of ten percent (10%), and shall, if not paid, be added to the arrearages carried into the succeeding fiscal year until such arrearages are fully settled. These fines shall not accrue to the constituent chapter but to the Association. The funds of the Association shall be classified into GENERAL FUND, and SPECIAL AND FIDUCIARY FUND. a) The GENERAL FUND shall be derived from the income of the Association from membership fees and dues; sale of advertisement spaces; rentals and/or sale of franchise for trade exhibits; subscriptions to publications of the Association; cash donations to the Association not specified for any particular or special program or project of the Association. The operations fund of the Association shall be taken from the general fund. c) The above mentioned SPECIAL FUNDS cover the special projects of the Association. Each of them is under the management of a special committee of a chairman and two members, except the Publications fund which is managed by the respective publication staff of the PDA headed by the Editors of the Journal and Bulletin of the PDA. All these Committees are responsible to the Board of Trustees. The Chairman and members of these Committees are appointed by the Chairman of the Board with the approval of its members with a tenure of three years. a) All monies, bonds and/or paper securities of the Association shall be deposited in reputable government and/or private banking institution approved by the Board of Trustees. b) Monies of the Association shall be deposited in accounts specified by provision of the By-Laws of the Constitution, or in accounts approved by the Board except in the money market. c) Accounts of the Association shall be in the name of the PHILIPPINE DENTAL ASSOCIATION under three signatories: (for purposes of deposit) The President of the Association, the Treasurer and the Executive Vice President. (For checks) The President or Executive Vice President and Treasurer (disbursements). d) Monies generated during the annual convention should be reverted to the general funds within 30 days after the last day of the convention. e) The Treasurer may appoint deputies other than the Assistant Treasurer duly appointed by the Board of Trustees, but the Treasurer shall remain the responsible officer for the funds, and who shall be accountable to the Association. c) Purchases of materials and/or equipment above a maximum set by the Board shall not be authorized without proper canvass. By canvass is not meant the pertinent papers showing cost of materials obtained from more than one source, but shall include the report of a special committee duly formed to examine the veracity of such papers. Sec. 10 Such budgetary and/or fiscal controls and/or measures as are deemed necessary shall be passed by the Board as long as they do not negate the general fiscal provisions hereon provided. Sec. 3 Any member of the Association who has been found guilty and has been convicted by any court of law. ii. Non liquidation of financial report of the chapter/affiliate and association within the prescribed period. Voted and adopted this 20th day of March 1998 at the principal office by all incorporators. (SGD) DR. DOMINADOR H. SANTOS, JR.